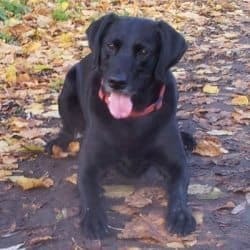 Home LABRADOR TRAINING	Complete Guide On What Size Dog Crate You Should Get And Which Type Is Best? 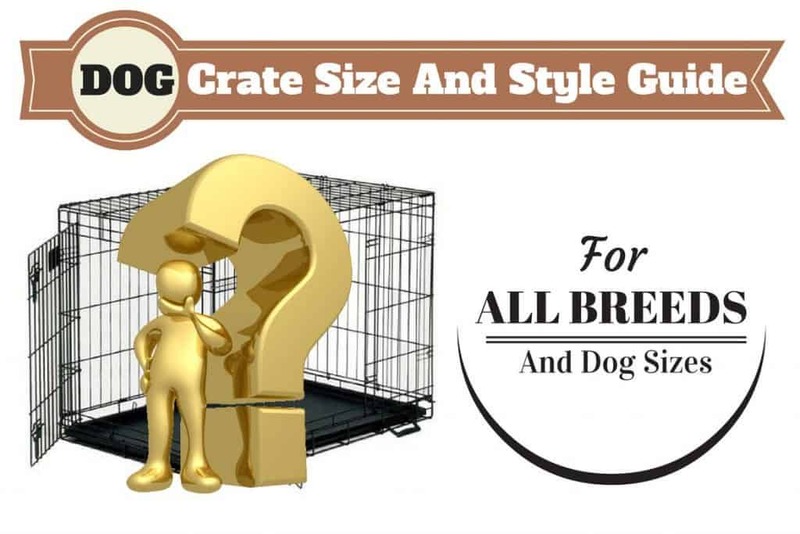 Complete Guide On What Size Dog Crate You Should Get And Which Type Is Best? 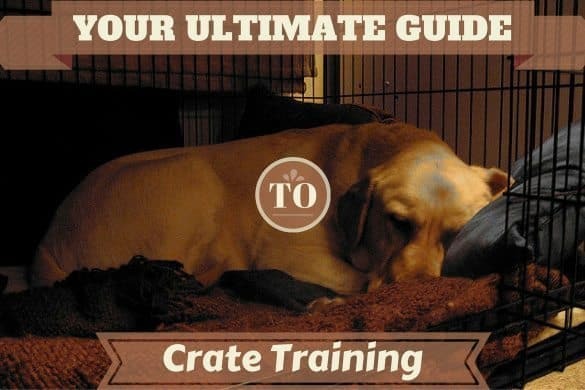 This is the 4th installment in the 8 part series ‘Crate training – the complete guide‘. 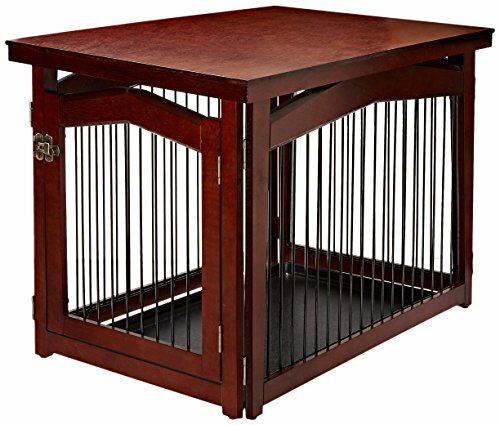 What size dog crate should I buy? And What type of dog crate should I buy? After reading the last two articles in the series that explained why you should use a dog crate, followed by how and when to use a dog crate, you should be convinced how beneficial they are, know how and when to use one correctly and are now ready to buy a crate before moving on to learning crate training. What Size Dog Crate Do You Need? What Size Dog Crate Should You Get For A Labrador? What Size Crate Should You Get For A Labrador Puppy? 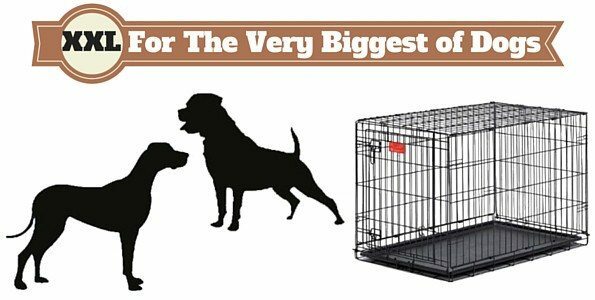 What Size Dog Crate Should You Get For A Labrador Cross? What Types Of Dog Crate Can You Buy? So Which Type of Crate Is Best? 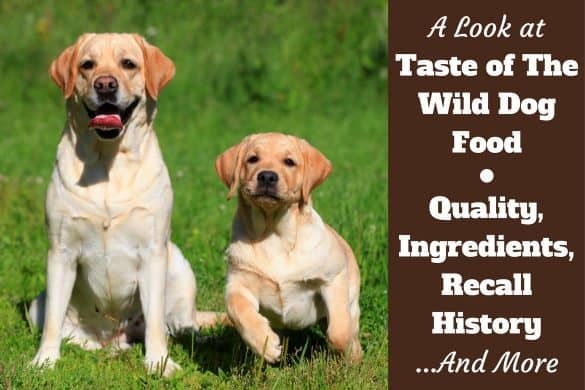 In line with the sites focus, most people reading this series will be looking to buy a crate for a Labrador Retriever, but I have received questions from owners of Labrador crosses and other breeds, so I’ll address buying crates for all dogs, not just Labradors. There are a few things you need to consider before buying a crate and we will cover all those points in this crate buying guide. The most important point being the size you buy to ensure it’s fit for purpose. But there’s also different types, the material they’re made from, and the place you wish to put it to consider as this may affect your final decision on the design. It must be big enough to allow your dog ample room to move around without offering too much space. Your dog needs to sit up straight without banging their head on the ceiling, be able to turn around with ease and lay down on their side with their paws stretched out without being cramped. Possibly the biggest mistake people make when buying a crate is to buy one too large, thinking they’re doing their dogs a favor by buying them extra room. But to use a crate for house training, to take advantage of the natural instinct to not soil their sleeping area, it mustn’t be big enough for your dog to use one end as a bathroom and the other as a bedroom. Also, If the crate’s too large it won’t provide the feeling of safety and security that your older dog would enjoy in a properly sized crate. They’ll feel more like they’re rattling around in a big empty room. Again, this kind of misses the point of a crate. So what size dog crate do you need? Before getting to that, there’s one important money-saving tip we should discuss first. Your puppy will need a much smaller crate than a full-grown adult dog, though they will eventually become a full-grown adult dog. But it’s unreasonable to think you can keep upgrading your crates for larger ones as your puppy grows. This could get expensive very quickly. So when you buy one, it’s best you do to fit the size of an adult dog and buy a divider to reduce the size of a larger crate to suit a puppy. Dividers are temporary and removable wire or wooden panels you insert into the crate to adjust the size available. Or a wooden board or sealed cardboard box will suffice to reduce the space. This way, you only need to buy a single crate you can increase the available size of as your puppy grows and not buy many sizes to suit your growing dogs proportions. Following the step to get the correct dimensions. Length: To measure the length, make our dog standing tall and proud on all fours, take measurement A, from the tip of their nose to the base of their tail. I stress to the base of their tail, NOT the tip as this would make the crate too large! Now add 2 to 4 inches (5 to 10cm) to A and you’ll have the perfect length of crate for them to stretch out and move around without having too much space. Height: To get the height, some dogs are taller in a seated position than they are standing on all fours, sit your dog down so they’re sitting proud and upright. Now, referring to the image take measurement B, from the floor to the tallest point of their nose head. Again, add 2 to 4 inches (5.08 to 10.16 cm) to this and this will give you the shortest height the crate should be. 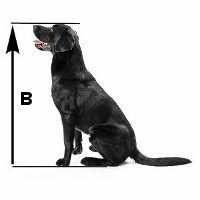 Armed with these measurements you’ll now be able to buy the correct size crate for your Labrador…or any other dog for readers of Labrador crosses or other breeds. Width: To determine the width, you need a crate that is A + add approximately 2 inches to 4 inches long, and B + 2 to 4 inches high. The width will be in proportion to these measurements and you don’t need to worry about this. In the majority of cases, a 42-inch crate is the perfect size for an adult Labrador. 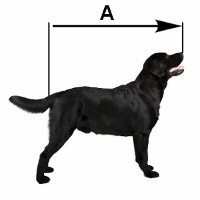 But there are size differences between Labradors: English labs Vs American labs, and male Vs female, so if you’re buying for an adult Lab it’s always best to take the measurements as described above to find the correct size. When you shop for a crate, the sizes are usually given as a length and weight. For example, 42 inch and suitable for dogs between 70 and 90 pounds. With a 42 inch crate, the other dimensions are designed to suit and are almost always correct. However, please do check the height and compare to the measurement taken above to be absolutely sure. Especially if buying an unconventional or custom-made one.  You can see a handpicked list of the best dog crates available for Labs by clicking here. Durable, long-lasting, available with a single door or with 2 doors. Removable, tough ABS plastic tray which makes keeping the crate clean a breeze. Easy to set up with no tools needed and can be folded down in seconds for ease of portability. Comes with a divider panel making it perfect for Labrador’s of all ages. To buy the correct size crate for a Labrador puppy, you want to estimate the size they’ll be as an adult dog and buy one large enough for that, along with a divider to make it smaller until your puppy grows. You could buy a smaller crate and upgrade later on, but I think that’s just unnecessary spending. For a Labrador puppy, buy a 42-inch crate and a divider. This will almost always be the correct size for them when fully grown. The same applies if you have a Labrador cross puppy or one from another breed. Find out the size you need for your adult dog, purchase this and a divider to cut down the size for your puppy until they grow into the full size crate. For a list of highly recommended crates suitable for Labrador puppies, please click here. 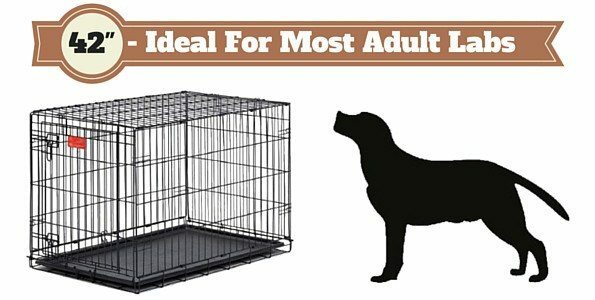 24″ crate that’s perfect for Labrador puppy’s or small dogs up to approx. 25 pounds. Removable, easy clean plastic tray so no hard work to keep it clean. Crate can be folded with very little effort & it includes a carry handle for ease of portability. No sharp edges and rounded corners for the safety of both yourself and your puppy. This isn’t an easy one to answer. If a Labrador is crossed with another breed, their final size will vary greatly depending on the other breed(s) in the mix. The best you can do is research how large they will grow by asking other owners in online forums, or make an educated guess going by the breed types that make up your dog. 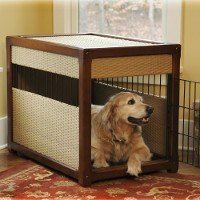 Because I get a lot of questions and comments regarding dog crate sizes for all breeds – not just Labradors – I’ve decided to update this guide with advice for all the most popular breeds. Below you will see listed all the commonly found dog crate sizes, a little information about the size and weight of dog they are suitable for, along with a list of the breeds they suit, listed in alphabetical order. 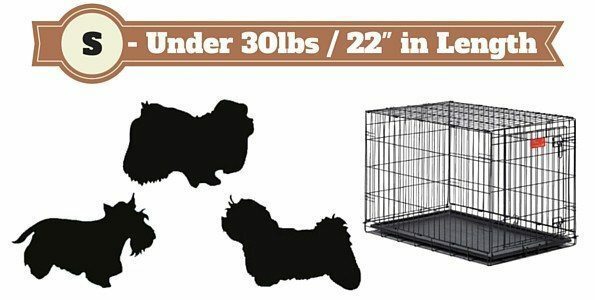 Here’s the general idea of dog crate size according to the size of your dog. Once you’ve found your breed, I’ve then added a link at the end of each section that will take you to a page listing the best quality and highest value crates perfectly sized for your exact breed of dog. I hope this proves useful! Extra small crates are for dogs weighing under 25 lbs, up to 20 inches in length from nose to base of tail and up to 14 inches from floor to top of head when sitting. 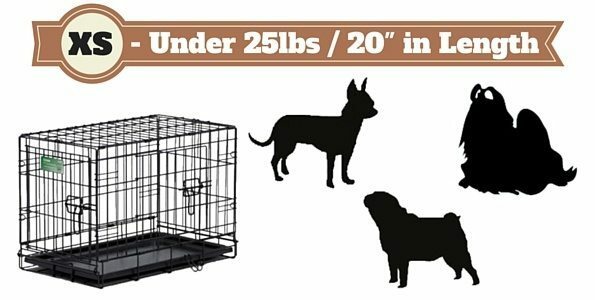 Extra small crate dimensions include: 18″ L x 12″ W x 14″ H; 22″ L x 13″ W x 16″ H; 19″ L x 12″ W x 15″ H.
Click here for a list of the best crates for extra small breeds. Small crates are perfectly suited to dogs under 30 lbs in weight, up to 22 inches long from nose to tail and up to 19 inches tall measuring from the floor to the top of their head when seated. 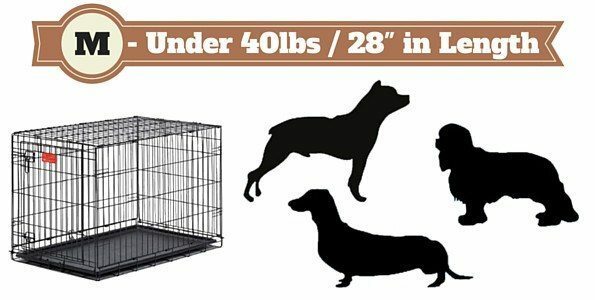 Small crate dimensions include: 24″ L X 18″ W X 21″ H; 24″ L x 18″ W x 19″ H; 24″ L x 17″ W x 20″ H.
Click here for a list of the best crates for small breeds. Medium sized crates are good for dogs under 40 lbs, up to 28 inches from base of tail to tip of the nose and up to 23 inches from floor to top of forehead when measured in a sitting position. 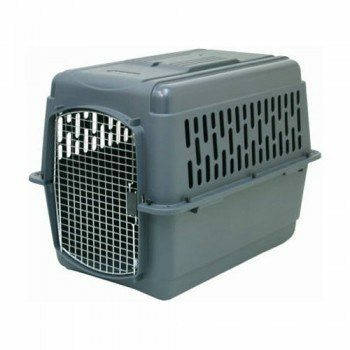 Medium crate dimensions include: 30″ L x 19″ W x 21″ H; 30″ L x 21″ W x 24″ H; 30″ L x 19″ W x 22″ H.
Click here for a list of the best crates for medium breeds. Crate: Large crates are perfectly suited to dogs that weigh under 70 lbs, are 34 inches or less from nose to base of tail and measure 25 inches or less from top of forehead to the floor when they are sitting. This is fit to average adult Beagle in the large size (36 inches L x 23 inches W x 25 inches H) crate. 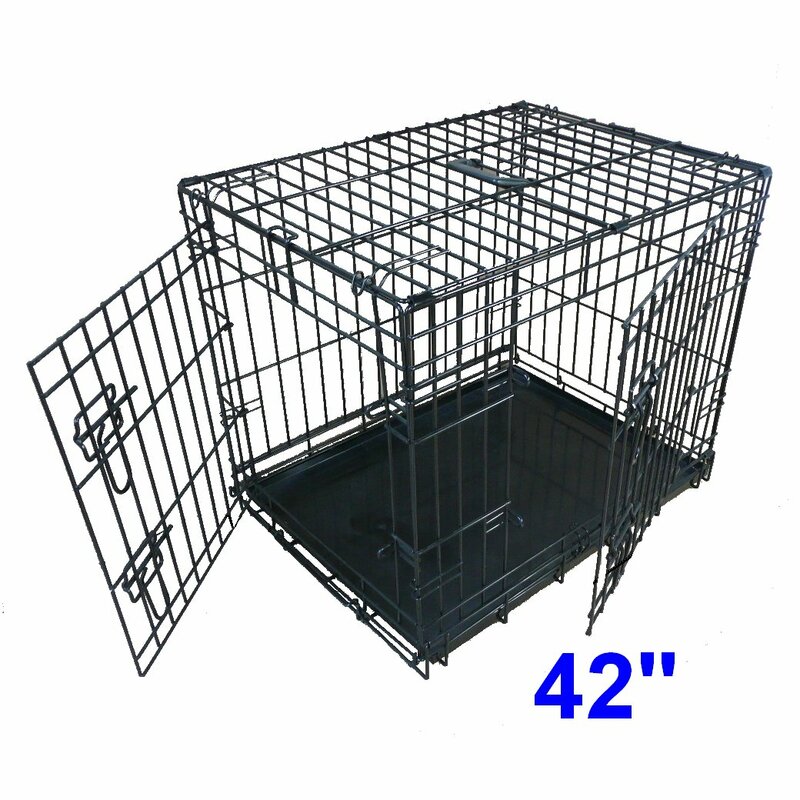 This large size crate is perfect for large breed dogs under 70 lbs. Large crate dimensions include: 36″L x 24″W x 27″H; 36″L x 23″W x 25″H; 36″L x 23″W x 26″H. 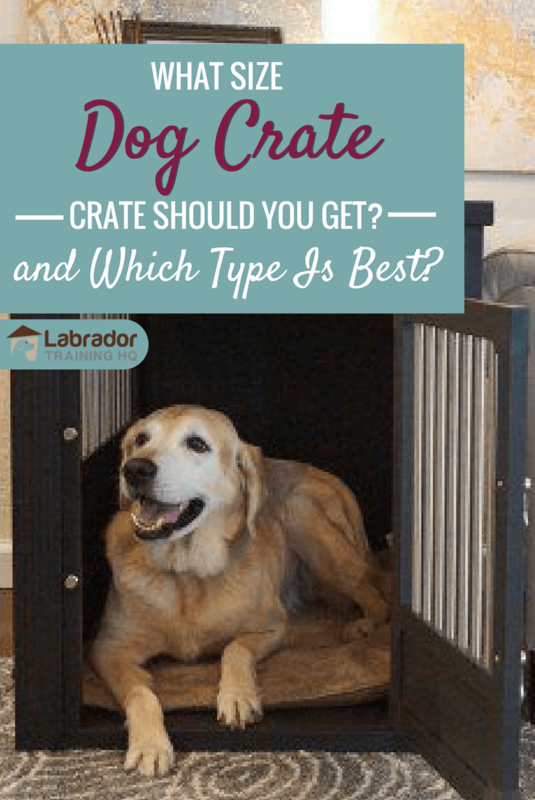 Click here for a list of the best crates for large breeds. 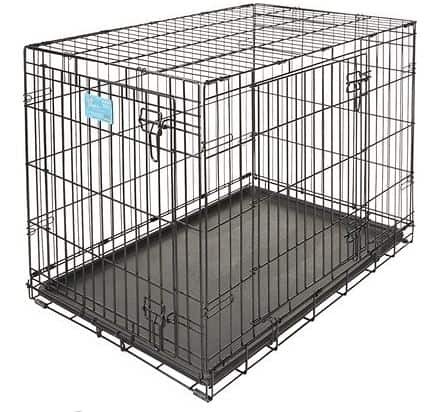 Extra large crates (sometimes called dog cages) suit dogs weighing under 90 lbs, up to 40 inches from nose to base of tail and up to 29 inches from floor to top of head when sitting. Extra large crate dimensions include around 42 inches long in length and 28 inches long in width: 42″ L x 28″ W x 31″ H; 42″ L x 28″ W x 30″ H; 42″ L x 29″ W x 31″ H.
Click here for a list of the best crates for extra large breeds. XXL crates suit giant breeds that weigh from 90 lbs up to 150 lbs, from 46 to 68 inches from nose to base of tail and up to 44 inches from floor to top of head when sitting. 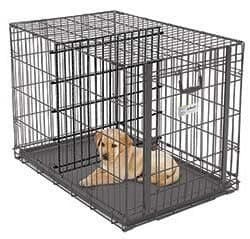 Extra, extra large dog crate (kennel) around 48 inches is best for dogs between 90 to 100 pounds. 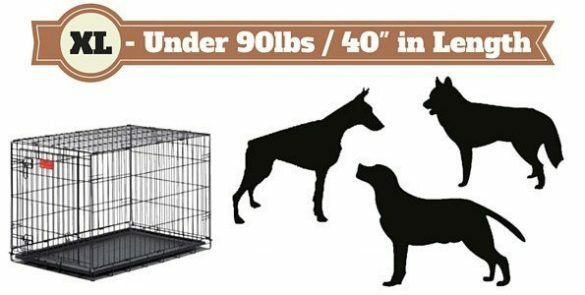 XXL crate dimensions include: 46″ L x 30″ W x 33″ H; 54″ L x 37″ W x 45″ H; 72″ L X 45″ W x 48″ H.
Click here for a list of the best crates for giant breeds. There are many different styles and types of crates available and each variety has advantages and disadvantages. The one you choose depends on how you wish to use it, how destructive your dog is and whether you’re trying to get a certain style to fit with the theme of your home. Wire dog crates are possibly the most used, the most commonly seen and generally speaking what people think of when you mention a dog crate. They come with a single door as standard, but some models have multiple doors (side and roof) for greater access. Allows the greatest airflow of all crate styles which is particularly nice in hotter climates. Allows the dog inside the greatest visibility which is good for those that need to still feel a part of things and know what’s going on around them…Some Labradors are like this! Many models fold flat for portability. Can come with divider panels for adjusting the crate size to suit a growing puppy. Most models have a slide out tray for ease of cleaning. For some dogs, instead of comforting them being able to look around and see the family, the visibility can cause whining and stress. Some dogs are best covered over…but you can of course cover a wire crate. Can feel exposed, offering little shelter in colder climates. They may be collapsible for portability, but they can also be quite heavy! The noisiest of crates when dogs move around a lot. The easiest of crates to escape from for determined and intelligent dogs. To See a handpicked list of the best quality and value wire dog crates, please click here. 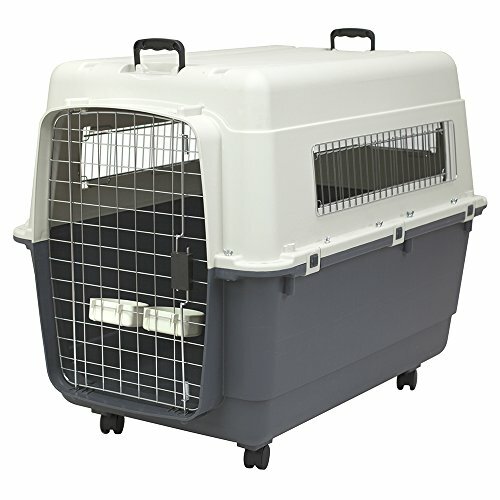 Plastic dog crates are the most often used for travel, particularly air travel. When you purchase a plastic crate, the documentation will say whether it’s ‘airline approved’ for this purpose or not. The majority are marketed as ‘pet carriers’ or ‘transport’ crates because they’re often bought as a second crate just for this use. But they’re fit for more permanent and day-to-day use too. Lighter and hence more portable than wire, metal ones. Bottom of crate can sometimes be used as an open dog bed if the crate is no longer wanted. Better for those that whine and cry if they can see activity and want to be a part of it. Less visibility better for easily distracted dogs and a greater feeling of security for a dog. Some models have attachable / removable food and water dishes. More difficult than most wire crates for escape artists to get out of. Harder to clean and therefore harder to keep fresh, and plastic can hold odors over time that become hard to eliminate. Cannot fold flat so need more storage space than wire crates. Reduced ventilation can cause overheating in places with a hot climate. Not very attractive, although people have different tastes. For my pick of the best plastic travel crates, please click here. Soft sided crates look a little less intimidating for first time users than imposing wire ones and I think they can be a good choice for crate-averse people who often find them easier to use as they look less ‘like a cage’. Way more practical for travelling types too, as can be folded flat and and weigh next to nothing, making them a highly portable option. Extremely light and portable, most coming with a carry bag. Extremely easy to store when not being used and folded. Great to use when out camping due to being extremely easy to put up and take down. Not the most durable and long-lasting. Destructive dogs can literally claw and chew their way out, destroying the crate in the process. Difficult to keep clean after using for any length of time – especially if your dog has any ‘accidents’ in it. Some dogs can learn how to unzip and open the doors. Personally I think they’re the least attractive and ‘cheap’ looking. But again, it’s personal preference. For my pick of the best, most highly recommended soft-sided crates, please click here. There are many styles of crate to suit those people who simply cannot stand the look of a wire or plastic one in their home, or are looking for something a little more stylish. 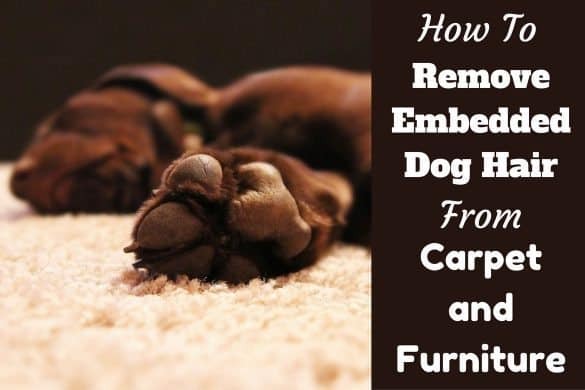 Available in many different styles, with options for various traditional furniture hardwood materials, there’s many options to provide your dog their own space, without having to compromise on the look of your home. There are crates made from rattan or a variety of finished wood crates available. Can more easily fit into the look of a home and its decor. Can double up as a shelf or end table to offer a usable surface. Huge number of styles available. Not good for destructive dogs who can really damage wooden crates. Not good for the house training process as any accidents will leave stains, possibly hard to remove odors and be hard to clean thoroughly. Expensive when compared to the others! For a small selection of high quality, stylish, wooden furniture style crates, please click here. 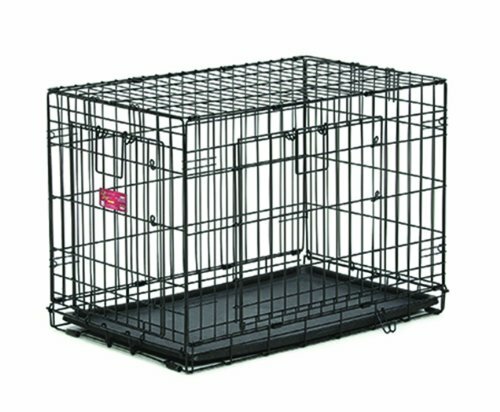 In my opinion, until your dog is house trained and completely over their destructive chewing stage, the most practical crate is without doubt a collapsible wire type dog crate. It’s the most sensible choice of crate you can buy. You can see our pick of the best collapsible wire crates available by clicking here. Compared to other styles, a wire crate is by far the easiest to clean if there are any accidents, are highly durable and is the only one that cannot be damaged by the scratching and chewing of a destructive dog…and many Labradors love to scratch and chew! They aren’t the most portable when compared to plastic crates, but can be folded flat and transported if need be, it’s just a little heavier but still manageable. They may not provide as much privacy and the ‘den feeling’ of safety and security that other types offer, and they may offer little in the way of insulation in colder climates, but these problems are easily solved with the addition of a crate cover. Finally, they’re reasonably inexpensive and due to them being so tough, will outlast most other styles of crate. To see a selection of the very best quality and highest value crates available from Amazon, please click here. Or if you prefer, you can see our ‘Top-Pick’ of the recommended crates below. This is – in my opinion – the best value for money crate available and with extremely good customer feedback to be found all over the web, many would agree. 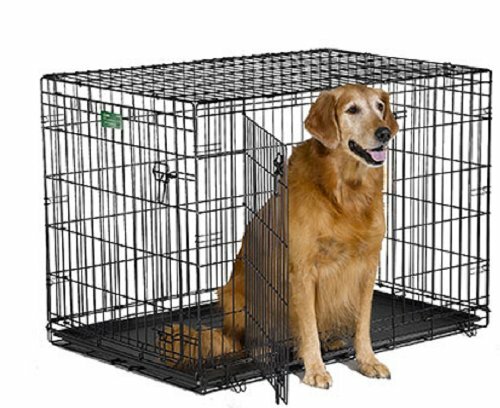 It’s a strong, durable, easy to clean crate available in all sizes from 22″ up to 48″ to suit all breeds, with the 42″ being perfect for Labrador Retrievers. With a divider included free of charge, this single crate bought for a new puppy can be resized to provide increasing room and still fit them as an adult. So it’s one crate for life. This is one crate you should definitely shortlist and compare to any others you may be considering. The series of crates by ‘Ellie Bo’ are in my opinion, one of the best quality and greatest value to be found in the UK. They have a huge amount of extremely good customer feedback and receive high ratings from previous buyers everywhere they are for sale on the web. 2-doors for easy access, highly durable and long-lasting, they come pre-assembled and are easy to fold down and put up again when needed. It would be extremely hard to better value in the UK for the money, so is definitely one to consider! In order to get the right size dog crate for your Labrador (or any other dog) you should follow the measuring guidelines detailed above and buy the perfect fit. But if you have a puppy, buy a crate for the size of adult dog they will grow to become and use a divider to reduce the size of this larger crate to suit them. For Labrador Retrievers this will be a 42-inch crate. 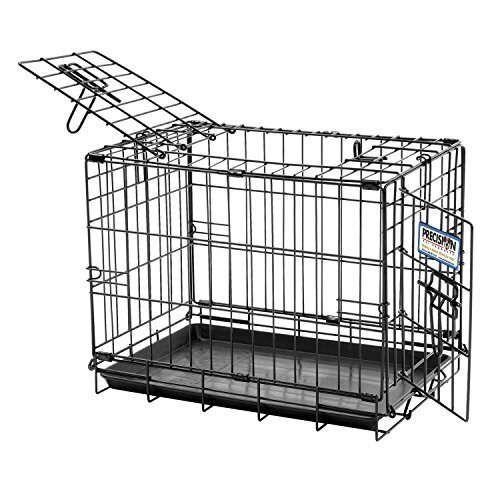 A stainless steel wire crate is the most practical and best value choice for a number of reasons as detailed above. But for transporting in a car or by air, a plastic crate would be the best choice. If you can afford to, I would suggest a permanent metal wire one for the home and a plastic one for travel. For those that would like to preserve an overall look to their house there are many stylish finished wood crates available and I think these can really look good in some houses. But I wouldn’t buy one until you know your dog is fully house trained and over their destructive chewing stage, otherwise a wooden crate isn’t going to last very long! This was part 4 in an 8-part series that details everything you need to know about the use of a crate and crate training your puppy. 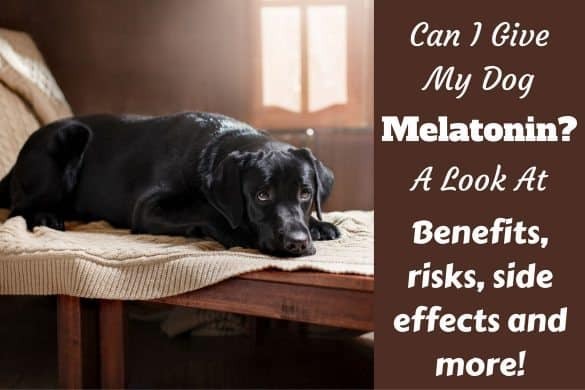 The information applies equally well to dogs of all breeds and not just Labradors. Part 2: Why use a dog crate – and is it cruel to crate a dog? Part 4: What size dog crate should you get and which type is best? I’ve tried to cover literally every question I could imagine on dog crates and crate training in the article series above, but of course it’s hard to cover every question that people may possibly have. 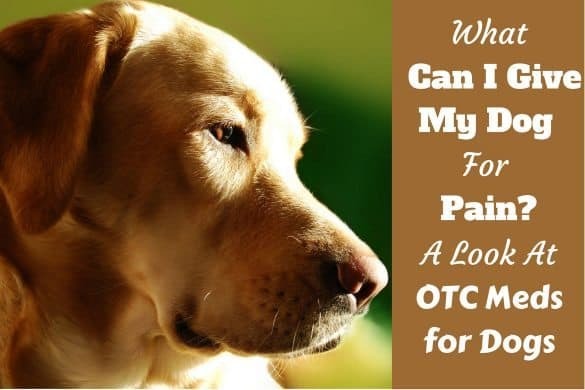 Please be aware this page contains affiliate links and LabradorTrainingHQ receives a small commission if you make any purchases through any such links. This has absolutely no effect on the eventual price that you pay and we are very grateful for your support. This is a super helpful, informative article! The link to the breed guide is especially nice, and I appreciated the recommendations, which we will be taking you up on. Thanks a lot! I stopped using metal-wire crates after an episode of poo and pee, then the dog getting this nice slushy mixture all over its fur, then shaking off. You guessed it, the walls and everything in the room was fully covered in this vile feces mixture. It was also harder to scrub the poo from every part of the wire crate, whereas a plastic crate can just be sprayed out very easily. We’ve been loving plastic crates ever since, and will never go with any other variation. I need to find a crate for our 9 month old larger than average Yorkie to use with our small camper van. Gyp is used to his largish wire crate at home and we have a plastic travel box for the car but he doesn’t like this, he knows when he is going to be put in the car/box and struggles a bit to avoid it. We need to find something he can be locked into at night or if leaving him whilst we go shopping on our journey but because of the size of the camper it needs to fit under the bed when it is made up so the critical height is 36 to 40 cm but depth & width could go to 60 cm & 40 cm and I can’t find a crate that fits the bill. I have wondered if it is the car/movement he dislikes but in his ordinary soft uncovered bed on short journeys he seems to settle ok. Any advice/help you can give us will be welcome. I don’t know of any crates that would fit the dimensions you’ve given as it’s very bespoke while most crates come in standard sizes. So to get a wider and longer one for the same height you would have to find someone to custom build it. Anyway, my suggestion would be to crate train him again, going back to the very beginning of the process, using the crate in the camper van. Dogs do not generalize well so staying in a different crate in a camper van is not the same as staying in his usual crate at home. You need to train him to accept and be happy in there, working forwards from the beginning, one step at a time. Try to spend some time each day crate training him in your stationary camper van at home. Do the same when out and about on any excursions. This should work fine and follow a similar pattern to how you crate trained him at home. Hi, I appreciate the articles on your website. I have an 11 month old labradoodle and 5 young children. He is a sweet dog, great with kids, but still can’t settle when they are up and about; he gets hyper and can’t be out of my sight since he still mouths everything other than his own toys :) This means he spend a fair bit of time in his crate during the day, so he can nap. He goes in willingly but not voluntarily. He is also locked in at night. We have worked a lot of going to place, but he does not stay on his bed or his crate once I walk away. I am having a hard time choosing a crate size for him. He is 33in tall, 42 inches long to the base of his tail, so it seems like he’d be cramped even in an xxl. Do you have any advice for me on these issues? Thank you so much! Sorry for the reply, I’ve been a bit swamped lately! Anyway, if he’s house trained (I assume so at this age?) getting an over-sized crate will not be a problem. 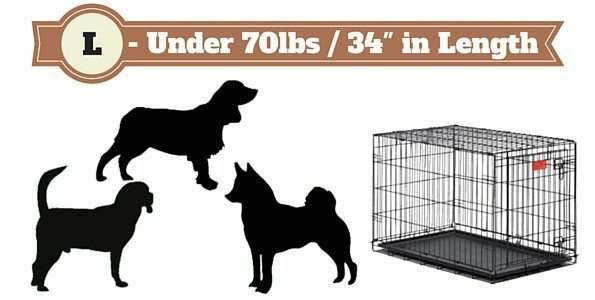 The next size crate up from a 48″ is a 54″ and is suitable for 48″ to 49″ long dogs (some say 50 to 52 leaving 2 to 4 inches spare, but I like to leave more spare at 5 to 6 inches.) I think we can be pretty sure he will not grow another 6 inches plus in length so a 54″ is definitely not going to be become too small. But that’s a BIG crate! I mean 48″ is a BIG crate, 54″ is VERY BIG! It will be very prominent in your home, taking up lots of room. If it were me in your shoes, I would buy a 48″ crate and see how you / he gets on, see if he grows anymore, see if it will remain suitable. If he grows and it becomes unsuitable, sell the 48″ on eBay and upgrade to a 54″. I would go this route because I would prefer not to have such a large crate in my home unless really necessary. The 48″ I would go with the following: 48″ Midwest dog crate. (NOTE: I’d always go for the double door option – similar price, more flexibility for use – and not the single door. The 54″ I would go for this one which looks a bargain: 54″ Midwest dog crate. We have two labrador puppies from the same litter, male and female. They are not nine weeks yet. They sleep together, usually touching, and are rarely separated by more than a few feet even when outside exploring . I have an appropriate size wire mesh crate and they would probably be okay sleeping on opposite sides of a mesh barrier so they could see, smell and even touch each other, but I cant imagine them respecting each others designated side of the crate …they spend most of their waking hours invading each others space. Any thoughts on crate training for two puppies simultaneously? They should have a crate each, or a single crate fully divided so they have their own space. As puppies, it’s really not too much of a problem or issue. But as they grow, if they are locked into a single crate together, there very likely will be fights and there will be nowhere for one to escape to in order to break things up. Yes, the risk of this happening is very small, but it is there so adolescent and older dogs should never be two to a crate. Now, you can let them both go into the same crate if they want to, as long as you do not close and latch the door. For then there is an escape route, they will sort things out themselves. You will likely find they choose to do this often. Just make sure they are never closed in together. How do you crate train two puppies? The same way you would one. Just add into the mix sometimes that they will be crated separately. A good way to do this – because they should be walked and obedience trained separately at times too – is to crate one while you take the other for a walk, or for a training session, or whatever. Sometimes crate them together, in a crates next to each other. Sometimes crate one while walking the other, or training the other. Sometimes train the two of them together. Mix it up but cover all angles, it will make them less dependent on each others company, happier in their own company, and more respectful and bonded with you having frequent separation. Hello . when crate training ur puppy, do you also keep in your puppy in it over night? We are getting our English Lab puppy in 2 weeks and are looking to get him his crate. Both parents are between 70-80 lbs, the mom being the larger one and the puppy is a male. The 42″ crates I see are mostly 30″in height. I found one that is 32″ in height. Do you think the extra 2″ are necessary? Most would find the 30″ high ample but I couldn’t possibly say without actually measuring your lab as an adult. If you can stretch to the 32″ high (I assume it costs more?) then I would go for this to cover all bases. But 30″ will be fine in most cases. For the record, some smaller labs perfectly fit a 36″ long crate which is lower still than the 42″, though the majority of labs require the 42″ so is the size most recommended. Have you been through the article ‘How to crate train a puppy’? 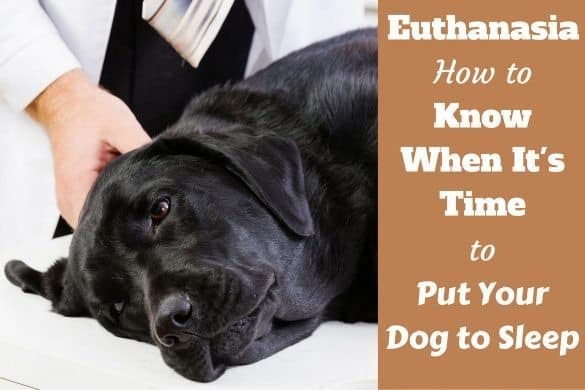 The steps there if followed are highly successful for almost all dogs – it’s just some may take a more time than others and there’s little can be done about this except for time and patience. You may need to set up alternative sleeping arrangements until Loki is comfortably crate trained, like being confined to a single ‘dog-proofed’ room for instance. I have a 48″ X 32″ X 35″ for my giant German Shepherd. 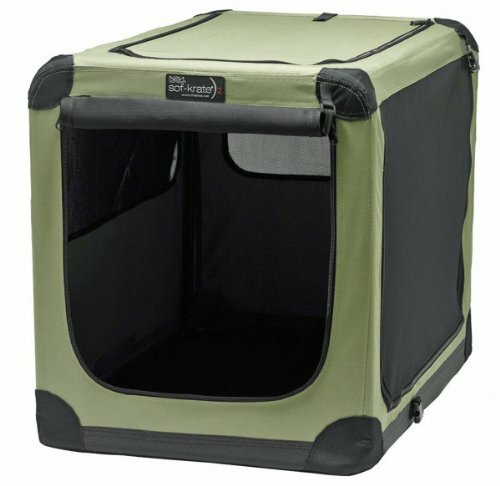 I cannot find a dog crate cover anywhere ! Any idea where to get one? I feel like I have scoured the earth! Have you tried contacting the crate manufacturer? Thank you so much for this article and your website in general. We have a 20 month old rescue puppy who started life as a “designer” dog, white German shepherd and yellow lab. She looks like a white German shepherd, but she has the personality of a lab, and although our sixth dog in 55 years, we have never lived with a lab before. This is also our first crate experience. We are her second family. She was too wild for her first people, so they gave her up to a rescue society, and we adopted her at 5 or 6 months. After two nights of tearing up the kitchen, we went to the nearest big box pet store and bought her a plastic crate. She was 32 pounds at the time, and could walk into it easily. She didn’t like it at first, but frankly, she had no choice. It was crate or third family, and she grew to accept it, and then outgrew it, now at 50 pounds. Yesterday I went back to the store and got her a 34″ crate, and she slept in it last night, just fine, in the dining room. It is too big for our small kitchen. General thoughts: She stays in the crate 8 – 9 hours at night. We need our sleep, and we make sure she goes out just before we all go to bed. But during the day it is for playing, at-will resting, and emergencies like vacuuming, only. Since I am retired and my husband now works part time, we can do it this way. She loves to play, chase, retrieve and chew, so I let her have only things that are easy for her to tell from things she can’t touch. She has Chuck-it balls only (indestructible) and American sourced rawhide rolls and chips, which she can eat up to her heart’s content, and not get sick. She gave up her Kong ball at 10 months. Just said “No.” Her exercise is playing in the house, she can leap and run as much as she wants, and walking outside, learning to heel. I am working on car training her, keeping her in the back seat with a harness and dog seat belt. Sometimes we board her at a nearby kennel which breeds labs and boards all kinds of dogs. If we were still working full time, as we were with two of our other real but rescue German Shepherds who were let loose in the house, no crate, we could not have kept this dog at all. She needs the attention and care of a two year old child. Nor would she have been a good dog for us when our children were small. She still is too nippy. So my question is, what are labs like when, or if, they grow up? I have a Labrador pup 2 months old now. Got her a 5 days back. I live in An apt on the 2nd floor. 1st 2 days she slept in the bathroom attached to my kitchen. I she likes it there as its cool. After the 1st night she would get up and whine and cry coz she was alone. So since 2 days she s in my bedroom bathroom. I got a Crate yesterday. Tried introducing it to her. She goes in like 5 mins and she whines then. I got her played and potted out and then slowly got her in. She slept for an hr. Got up and whined. So when she stopped whining I let her out and straight her went to the bathroom to sleep. Did the same thing at night she slept and hr then started to bark and whine. Once she stopped I let her out and off to my bathroom she went to sleep. My problem is I work. 1st day 3 days I was home. Next I left her in the bathroom for 4 hrs in the morning and afternoon I get back to feed her and take her out to potty. Only night I don’t take her out after 10 pm. If she has to go at night I carry her to her 1st bathroom and she will pee there. She does pee during the day in the bathroom I place her. Since it’s her 2 day with the crate I didn’t leave her in it when I came to work. I put her in the bathroom on a leash and I have kept the crate open near the door incase she wants to explore. Is it OK to not take her out at night to pee. Is it OK if I make her use the bathroom at night. She does have accidents on and off around my apt. I have given her access only to my kitchen, hall, bedroom and balcony. I don’t want to lock her up now in the crate as I fear her whining and barking will annoy my neighbors. She s the 1st dog in out apt complex. Am I doing the right thing. I stay alone. First of all, I want to thank you for the information you posted, very informative and much appreciated. My Parti Golden Doodle is 4 years old, 29-1/2 to 30in. high from floor to top of head in a sitting position, 35in. long from nose to base of tail, 24in. from floor to top of back & weighs 60 pounds. He sleeps in his crate at night and sometimes during the day, I would say no longer than 2-6 hours and not very often since I’m home the majority of time. He has a plastic crate at the moment measuring 40Lx27x30H, I feel the measurements are fine except the height, he can stand & turn around but looks a little cramped. I’m thinking of purchasing a large MidWest Life Stages Double Door Crate, 42Lx28Wx31H which is recommended but do you think 31in. gives him enough head room or should I go with the 48in XL at 33in high instead? It’s a bit confusing because it says to add 2-4in. in order to get the right size, I will be putting a pad/bed on the bottom as well. Thank you so much for helping me find the proper crate size. great stuff! I shared this on my Facebook and my followers loved it! Why Use a Dog Crate – and Is Crate Training Cruel?